Hey all and happy Monday!! Hope you all had such a fabulous weekend! It was warm here one day and then under 40 the next two days, and now the wind is insane! The weather has not been consistent at all lately, so I never have any idea how to dress! 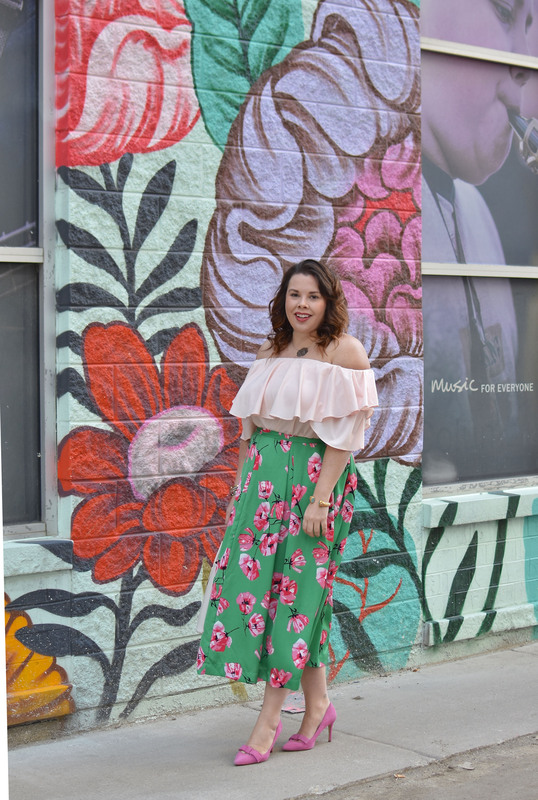 I picked up this skirt at Target (my forever love) and was in love with the vibrant color! I feel like green can sometimes be so tough to wear, because some of the shades of green are just not so great! I loved that this green was so vibrant and paired with pink flowers on it. I stated this in a post last week, but Target is really stepping up their game, especially with their spring line! I decided to pair the skirt with a light pink top, as I wanted a fun color combination for spring! I love this top and have worn it so many times over the past few years with so many different pieces! Went with a fun pink pair of shoes as well to keep the look a bit lighter and more fun! Hope everyone has a fabulous week ahead! LOVE this whole look girl! The skirt is so much fun and looks great on you! Love the mix of green and pink. Such a sweet and feminine outfit! Love the pink and green! What a gorgeous skirt!! I absolutely love this outfit. So perfect for spring! 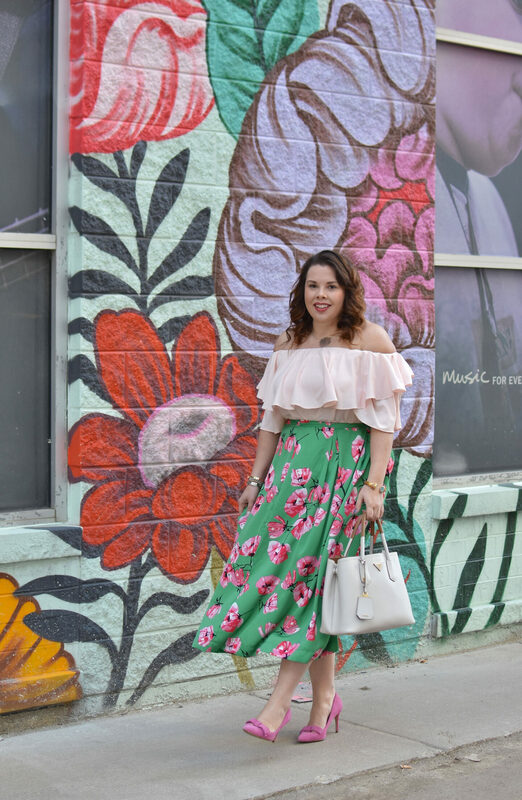 This entire outfit is the epitome of Spring fashion! I am absolutely obsessed with Target’s fashion lately as well, and my Target RedCard is fully aware!! This is such a cute outfit! I love how you put them all together! And you really look gorgeous here! Such a cute outfit girl! I am loving this color combo and the print is so cute! I wish I wore more green such a fun shade! You are summer ready! 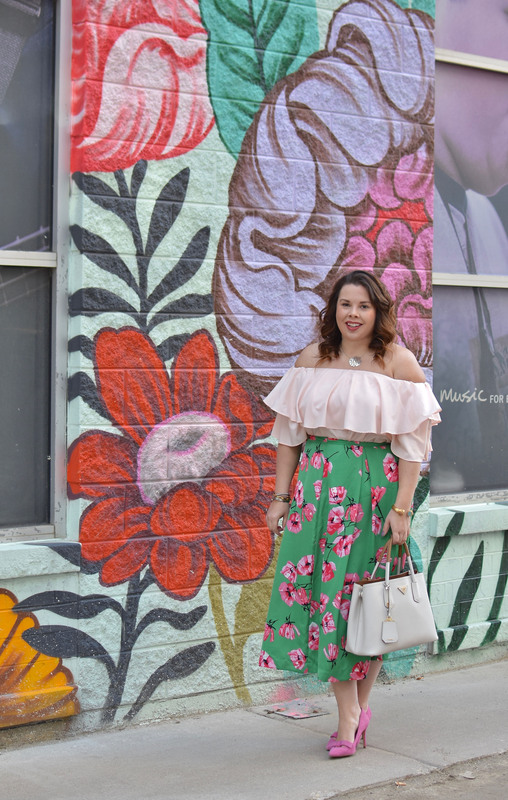 This is the perfect outfit for spring!! I love the floral skirt! I love this color combo so much!!! That skirt looks fabulous on you! LOVE the skirt. The combo is perfect for spring. 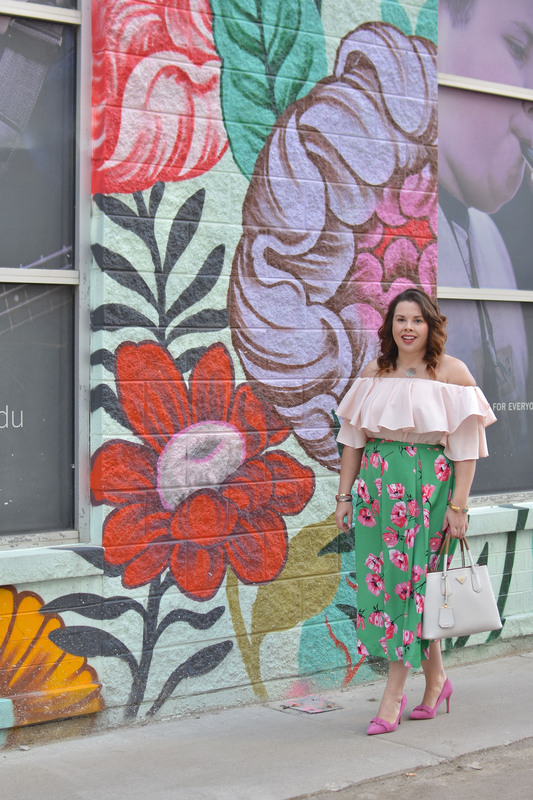 The print on that skirt has me absolutely swooning – and majorly craving springtime haha! I love this duo on you, and those shoes are so cute too! I absolutely LOVE pink and green together! This is such a cute look, you look amazing in it! I’m in love with the color palette of this outfit! What a great find your skirt was! I love the outfit you put together! It’s so cute and it looks great on you. Love the colors! What an unexpected combo! I love it! I LOVE mixing green and pink!! 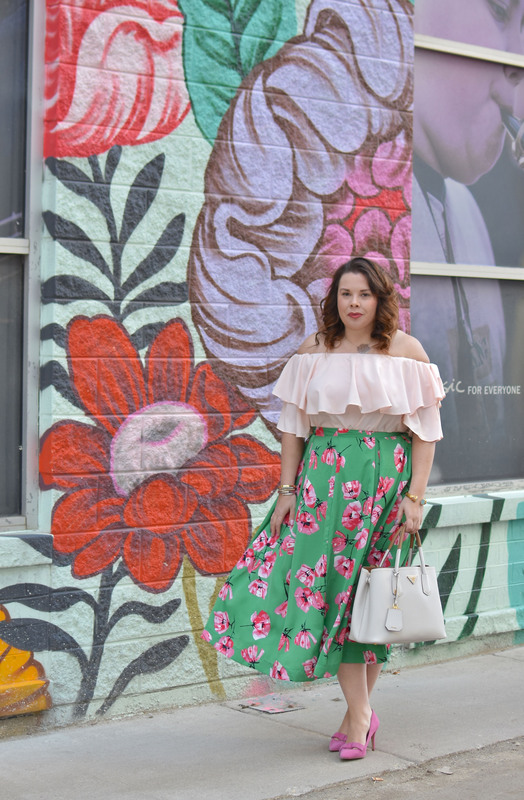 Love this look for spring! The skirts adorable! Okay this skirt is so cute!!!!!! Love how you paired it! Your outfit is so pretty, love that skirt on you and that background is to dry for. Such a lovely look! I think it’s perfect that you paired the bright green with the softer blush shades. Gorgeous! I love this skirt, a POP of color is my weakness. You rocked this! Green and pink are definitely a great color combo. And you pull it off together so well.